It’s absolutely no secret that I love a cup of tea. 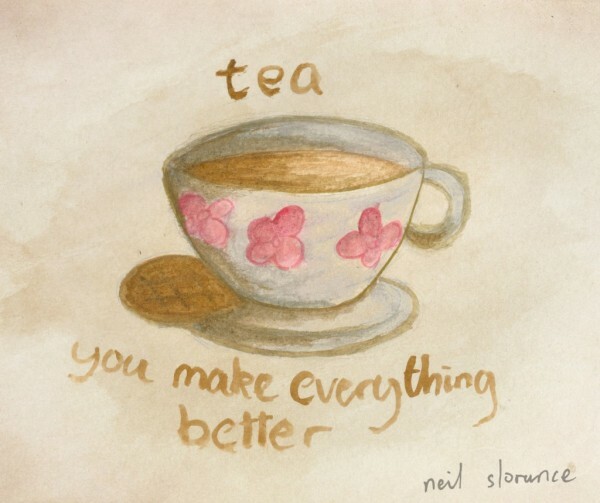 I can quite easily drink at least 6 or 8 cups of tea a day. Most of these are in work but when I have time there’s nothing I enjoy more than settling down with a book or magazine and a nice pot of tea. 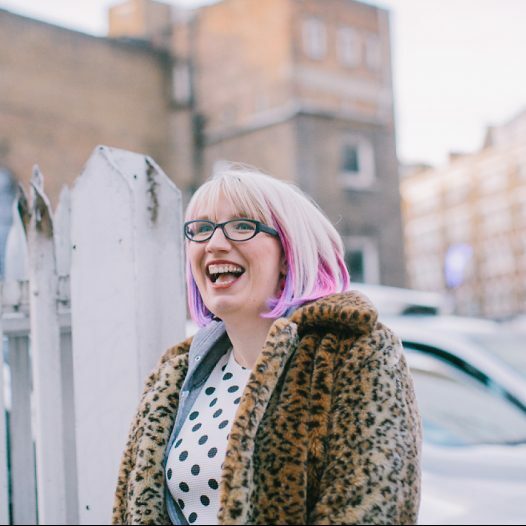 I have a really lovely Cath Kidston teapot that Tom’s sister, Faye bought me for Christmas, but recently I have been on the look out for an entire tea set. I’m pretty sure you can never have too much tea paraphernalia. What with it (supposedly) getting warmer and Summer just being around the corner (I hope) I want to add some colour into my life in every way I can. So, when I stumbled across this sugary sweet set from Mollie and Fred I just had to share it with you. Isn’t it dreamy? The floral pattern and sugary sweet colour palette make it so girly and pretty. I don’t even take sugar in my tea but I want that little bowl full of sugar cubes. 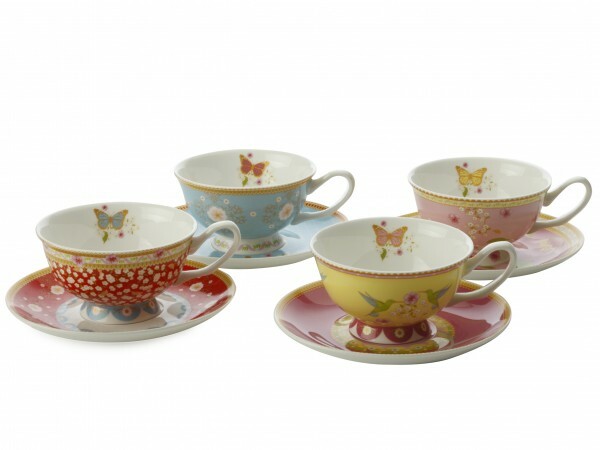 These gorgeous tea cups match the tea set and add even more colour to the table. As pretty as they are, the only thing I’m not a big fan of with tea cups is the measly amount of tea they hold. Two mouthfuls and it’s all gone! I think that’s why I prefer these matching china mugs. 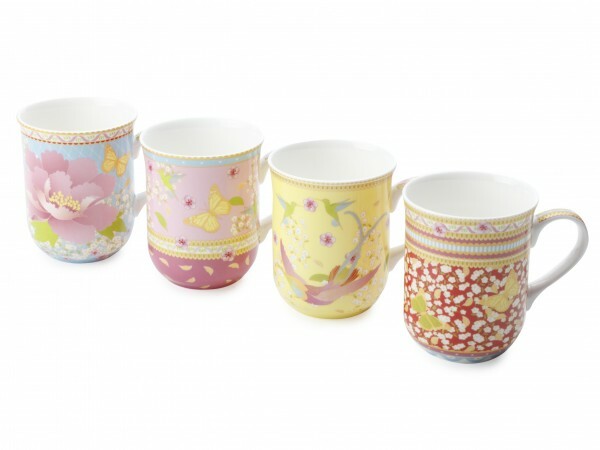 You can fit much more lovely tea in these. 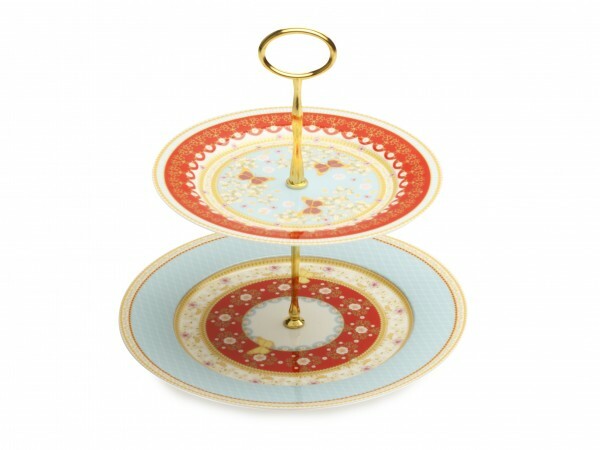 There’s nothing better than a lovely sweet treat with your cup of tea and with the matching cake stand it’d be rude not to surely? 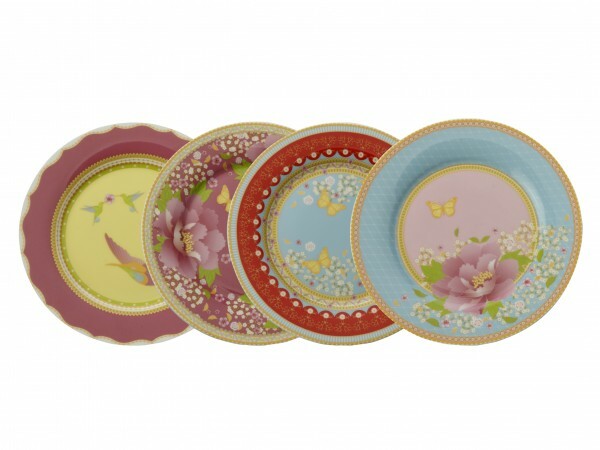 And I wouldn’t want you to get any crumbs on yourself so I could whip out this lovely set of plates too. How lovely is this? I want it all…. especially the plates. 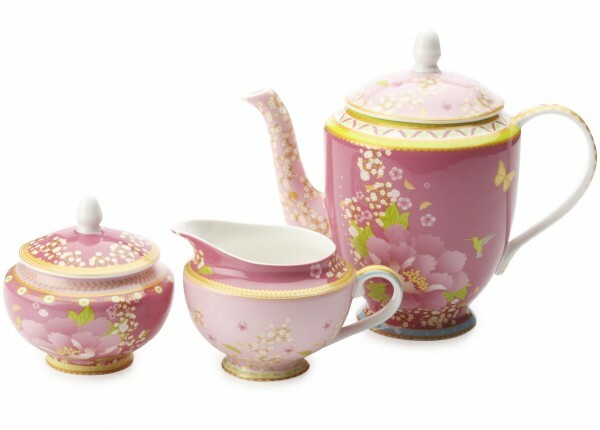 Have you seen any other dreamy tea sets I can swoon over?